Gaz on the other hand is VERY much into his cosplay role, he even managed to give himself an eerie glow! I blame the fact the Nanomachines absorbed his Neonicus hairgel while he was in stasis getting... "rebuilt" but that's not part of Emily's story, that's covered in S.A.W.D and the neonicus glows lime green canonically not blue but whatever. 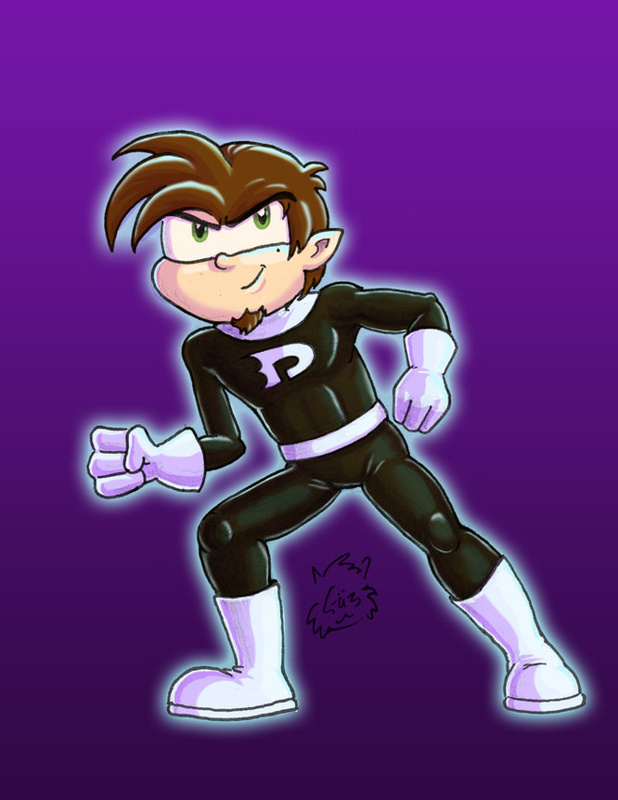 Danny Phantom is owned by Nickelodeon/Butch Hartman? That and I been binge watching the entire series on Hulu lately and just finished watching them all today.